Synergy implements superior, intelligent treatment solutions to clean up and remediate Per and Poly Fluoroalkyl Substances (PFAS) associated with Aqueous Film Forming Foam (AFFF) contamination. Synergy offers effective and efficient delivery of civil construction projects, backed by sound engineering principles and delivered with a high degree of practical aptitude. Qualified in both manual and mechanical demolition techniques, Synergy approaches all demolition projects with safety and quality in mind, with particular attention to detail. 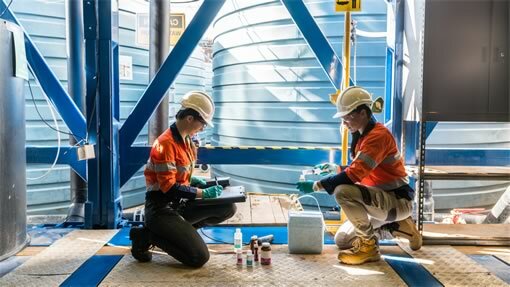 Synergy delivers innovative and practical solutions to complex environmental problems, providing certainty of remediation projects, with the aim to create a more sustainable future. "I am continually inspired by the dedication and ingenuity of the Synergy team, who go above and beyond all expectations to ensure our goals are aligned with our clients’ objectives." Synergy is an agile company offering innovative solutions for complex projects. Specialising in civil construction, demolition and environmental contamination remediation, Synergy has a wealth of engineering, scientific and technical aptitude, delivered by an expert team of practical, forward thinking professionals. We ensure all site activities are sustainable, while simultaneously prioritising your project demands. We have built our reputation on delivering outcomes on time, safely and within budget.